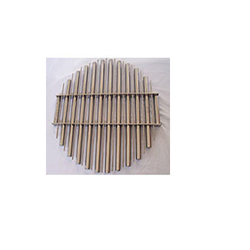 We are a leading Manufacturer of custom shaped magnets, magnetic grill and magnetic racks from Ahmedabad, India. 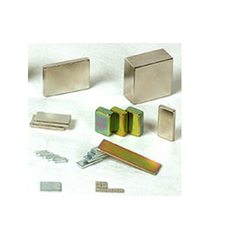 We are a coveted organization, which is engaged in manufacturing and supplying Custom Shaped Magnets. All our magnets are designed and manufactured using quality material in strict compliance with international quality standards to fulfill the clients’ needs. We also check all the products on various parameters to ensure flawlessness. We are one of the eminent firms, engaged in manufacturing and supplying Magnetic Grill. These products are widely used for separating tramp iron or ferrous contaminants from free flowing granular materials. 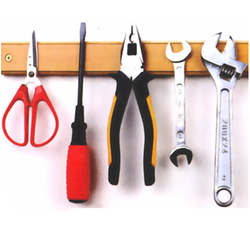 These are provided to our customers in different sizes and thickness at market leading prices. We are a prominent organization, which is engaged in manufacturing and supplying an excellent quality range of Magnetic Racks. Available in different sizes and shapes, these racks are widely demanded by our prestigious customers across the nationwide market. We also have a team of packaging experts, which make use of quality material to pack these. Looking for Magnetic racks ?